Pokémon: Let’s Go takes inspiration from Pokémon Yellow. You’ll be able to explore the Kanto region and catch and battle all 151 Pokémon. You can also play the game on the go just like other Switch games. Pokémon: Let’s Go allows players to not only play by themselves with one Joy-Con but also with a friend using the other Joy-Con. The game also works with a new controller called the Poké Ball Plus which replicates the look and feel of an actual Poké Ball but with a control stick and motion controls. 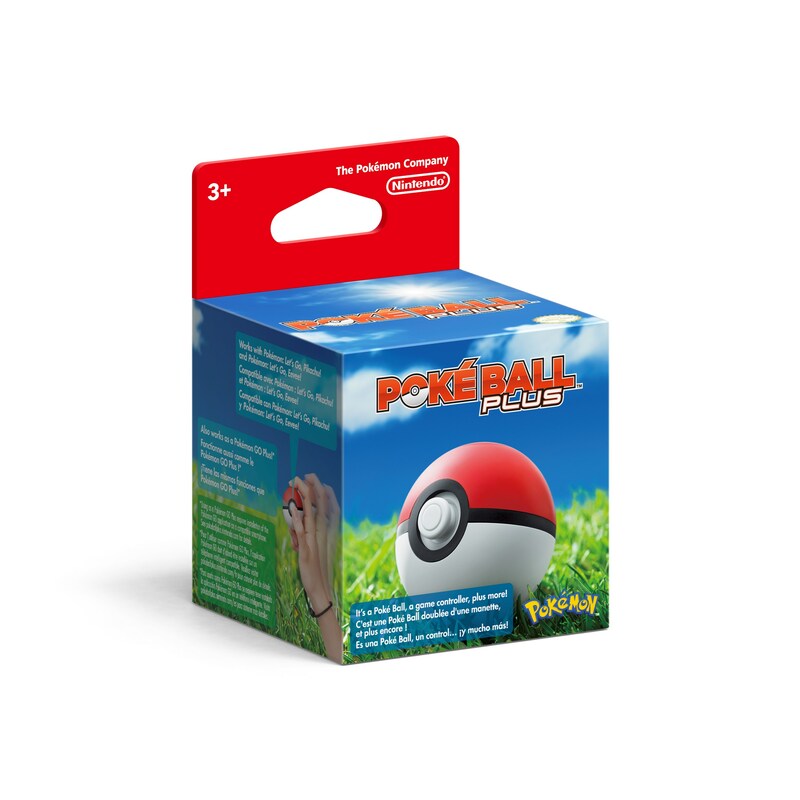 The Poké Ball Plus can be taken with you and the controller also works with Pokémon Go and provides the same functionality as the Pokémon GO Plus. Pokémon Let’s Go also allows you to connect to your Pokémon GO game on your smartphone so you can transfer the Pokémon you caught in the mobile game to the Switch game. Pokémon Let’s Go releases on November 16th. Nintendo also announced a new free-to-start Pokémon RPG called Pokémon Quest. It takes place on Tumblecub Island and you search for loot. You’ll be able to modify your Pokémon using Power Stones. Pokémon Quest is available now on the Nintendo eShop for the Switch. It will also be coming to Android and iOS in late June. GAME FREAK is also working on another core Pokémon RPG for the Switch that is set to release in late 2019.